1. 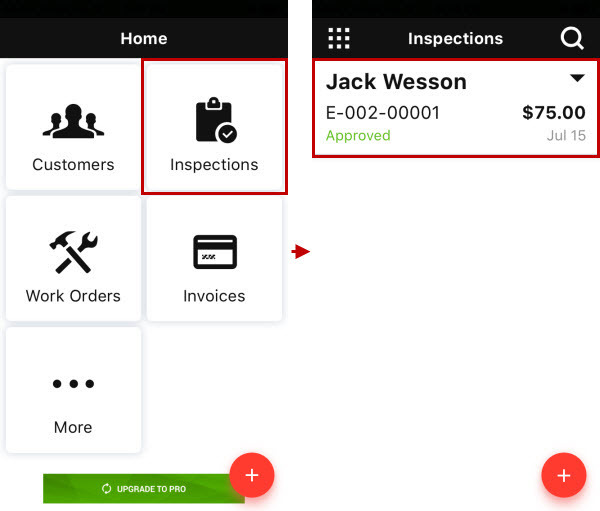 On the Home screen, tap Inspections, and then on the Inspections screen, tap the appropriate inspection. 2. 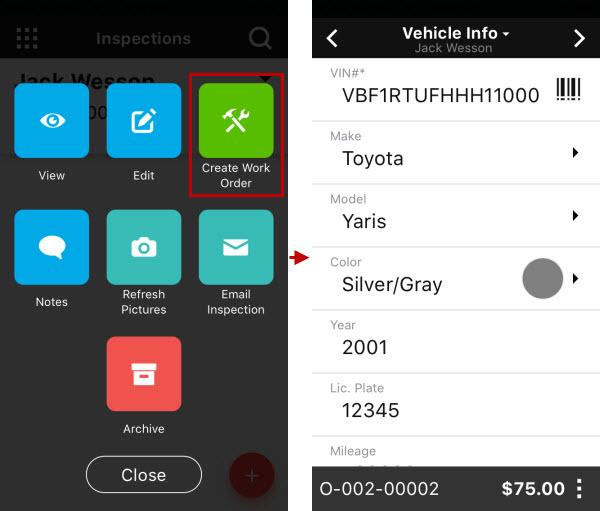 Tap Create Work Order, if needed, make changes on the Vehicle Info screen, and then swipe left or tap right-pointing arrow. 3. 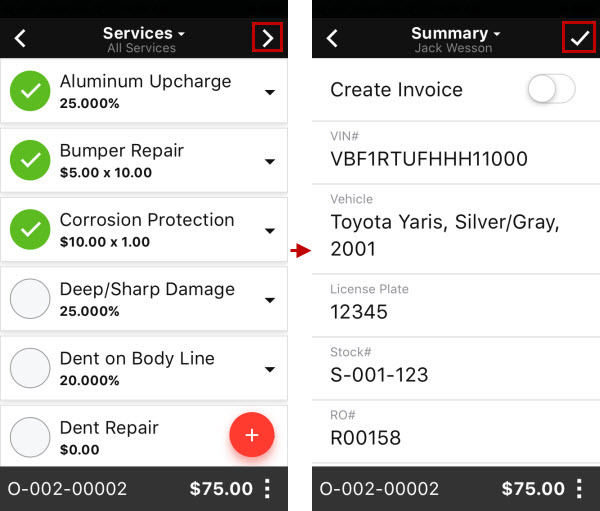 On the Services screen, make changes if needed, swipe left or tap the right-pointing arrow, and then on the Summary screen, tap Save. 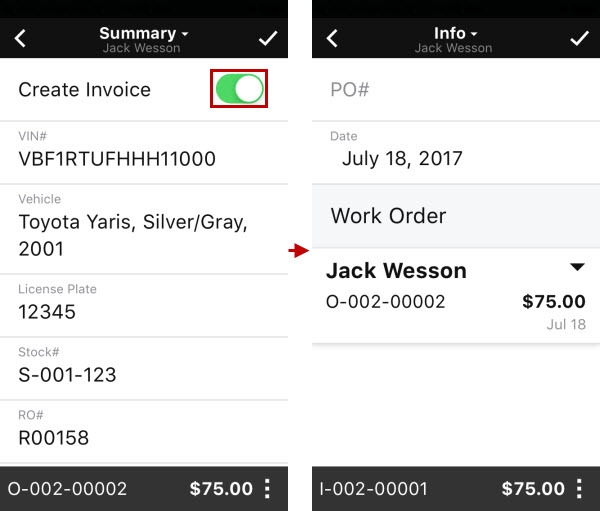 Note To create an invoice from the work order, turn on the Create Invoice option and tap Save on the Summary screen, and then tap Save on the screen.